There are tons of xmas costumes and clothing out there for babies now but the crafter part of me really wanted something home made. 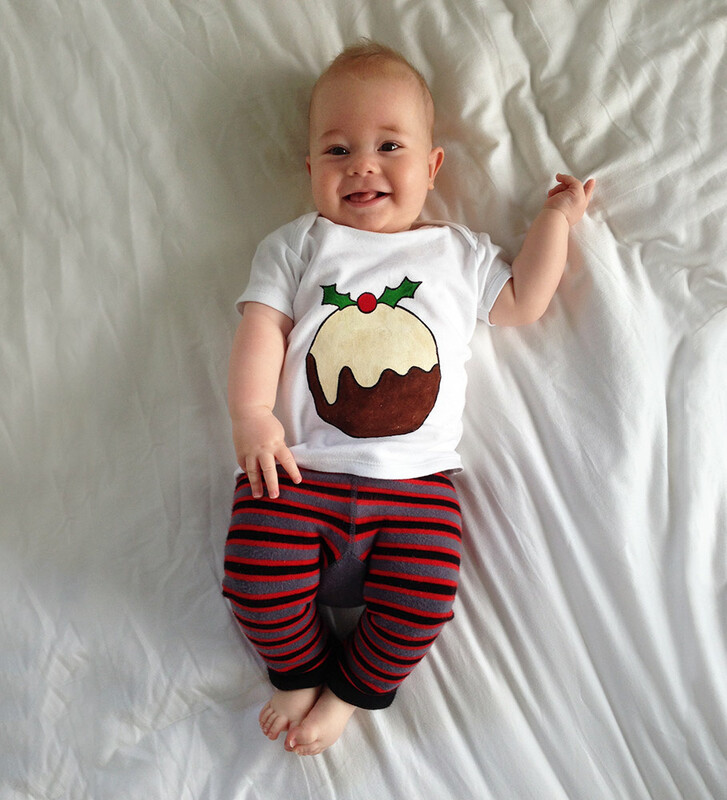 I did some googling and found some Christmas pudding hats. They were cute but I decided the roundness would echo the roundness of a little tummy well. 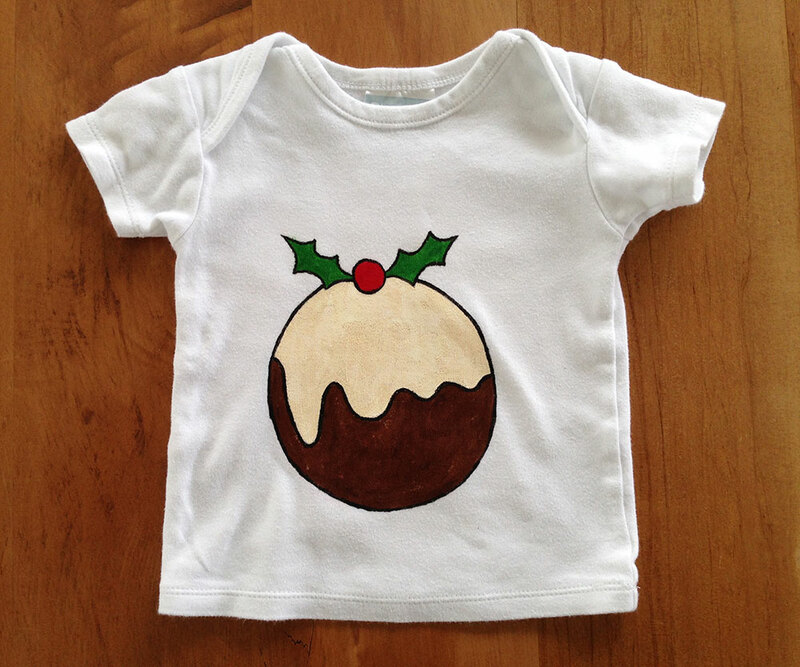 The pudding design is painted on with textile ink which you iron over to set. It was super quick to do. My new design and crafting challenge is time so I was really happy with how this turned out.